Back in my youth I would get rolling eyes, good and hearty laughs, challenges to my sincerity and general disbelief when I told my Jewish and other friends that one day I would retire in Israel. Well, not only did I make good on my words, I found an affordable place five blocks from the Mediterranean Sea in Nahariya in northwestern Israel and the western end of the Galilee. One of my friends from before grade school through high school visited my parents and asked as to my whereabouts as most of my high school graduating class scattered to all corners of every state in the nation almost all losing touch except for rare crossings in our travels. When my parents informed him that I had moved to Israel, their quote of his reaction was interesting. They told me he laughed while getting out the words of disbelief stating, “My G0d, he actually did it. He had told us back in grade school and on that he would retire in Israel and he actually went and did it.” Similar reactions have been stated by people who throughout my life were told my intention. I was raised as a reform Jew in a liberal area just outside of Washington D.C. in a neighborhood which it turned out would fall just inside the Capital Beltway. Yes, we lived as part of the inside the Beltway crowd but not until we were fourteen and the roadway was opened. I was actually at the opening just across the county line over in Prince Georges County and made the cover of the Washington Star but somehow the Washington Post used a picture which I managed to miss. I tell people this because they knew I would eventually become a conservative Constitutionalist and a Zionist when it came to Israel. None of my friends, to the best of my knowledge, did more than maybe visit Israel for a short vacation or funded trip made possible by one of the many organizations which sponsor such trips in hopes that they will spark good responses. Unfortunately many of these planned trips are hijacked by post-Zionists which would be better described as anti-Zionist and some even pro-Palestinian Arab. At some point some of these visitors are told by guides that Israeli Jews could live in an Israel as a minority under Muslim rule. They use this introduction to claim that millions of Arabs claiming to be refugees or their progeny and thus entitled to live within Israel would cause little if any problems. They ignore that these refugees are raised such that their entire existence is for the destruction of Israel through population inundation. 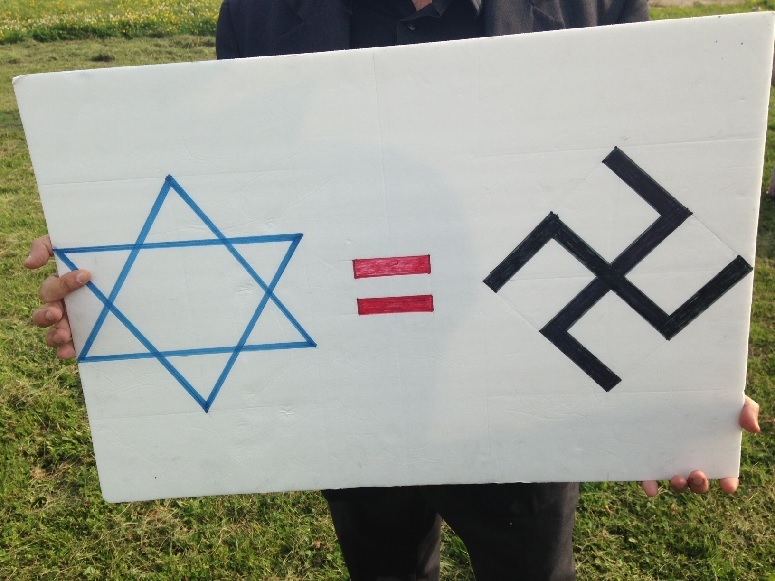 Allowing for a Muslim majority in Israel would force the Jews to leave, or if not that, then remove the Jews using some other means of final solution. There are things which are presumably not permitted be stated when discussing Israel Arab conflict. The biggest lie is that the Israel Arab conflict is between the Israeli Goliath against the Arab Palestinian David ignoring the fact that as many as twenty Arab governments and numerous other Muslim governments all demand that the Jewish State be returned in its entirety to Islamic rule and all the Jews made to perish and that is the reality which must never be spoken. The truth of this conflict is easily understood when looking at a map of the nations whose populations predominantly desire the eradication of Israel (see map below). This includes even Egypt, which recognized Israel when making peace under the brave guidance of Egyptian President Anwar Sadat who signed a peace with Menachem Begin, the Israeli Prime Minister, in 1979 and President Sadat then paid with his life as he was assassinated by members of the Muslim Brotherhood using their members from a military unit during a parade on October 6, 1981 as reported by the New York Times. The population of Egypt by over four to one favors Egypt breaking the treaty and attacking and destroying Israel. As far as the Egyptian population has ever heard in reports and been taught in their schools, the Egyptian military has defeated Israel in each of the three wars, 1956, 1967 and 1973, despite the reality being the opposite. Those who fought in these wars and know the reality are forbidden from speaking of these defeats under threat of death. There are many other truths which shall never be mentioned. The truth is that the leadership of the Arab Palestinian Authority (PA) have rejected the two state solution and will only accept a single Muslim Arab state completely devoid of any Jews. There is no difference between the desired end between the PLO, Fatah, the PA, Islamic Jihad and Hamas. The various terrorist groups (the ones listed in the last sentence and more) are supported by the Muslim Brotherhood (the same parent group for al-Qaeda), Saudi Arabia, Iran and other radical groups both Sunni and Shiite. The monies donated by the United Nations, UNRWA, the European Union, various European governments, the United States and near countless NGOs are often diverted to terrorist usage including purchasing explosives, bomb and rocket making systems and supplies, tunnels, and payments well above the average wage for terrorists in Israeli prisons, the families of terrorists who died such as suicide bombers and others who continued attacking until killed in the commission of their attack with these salaries commensurate with the numbers of Israelis they murdered. The PA headed by Mahmoud Abbas and internationally reputed to be Israel’s best hope for peace and the greatest hope for establishing a two state solution has approved and even attended official events naming schools, roads, parks, playgrounds and other public institutions and landmarks after terrorists who are revered and proposed as the pinnacle of Arab society and the best possible people for the youth to emulate and strive to be their equals in the dealing of death to Israelis. When touting murdering Israelis there is often additional mention of murdering Jews and it is made evident that these Jews intended to include all Jews anywhere in the world. Should one take one hour a week in two or three short periods watching translations of PA spokespeople, leadership and the politicians on any of the following web addresses; CAMERA (Committee for Accuracy in Middle East Reporting in America), MEMRI (Middle East Media Research Institute), PMW (Palestinian Media Watch)and a whole new world will be revealed and in their own words and calls to action. These sights are all reputable translation services which are run by NGOs who take pride in their work and present as honest a translation as they are able as to do otherwise would have had them revealed as untrustworthy in all the media which would love to be able to silence their reporting. Most of us already have realized we are being fed propaganda by the mainstream media; even on the so-called honest reporting in Fox the entirety of the truth is withheld as to be that forthright would cause them more trouble than their reputation is worth. It would be difficult to report news if you were spending half your manpower on facing court cases for wrongful reporting and emotional damage due to false reporting brought by adversaries desiring to prevent certain facts from reaching the public. Thankfully, and due to the bloggers, the truth of the vote against having belief in G0d as well as Jerusalem as the Capital of Israel being rejected by the floor when it was attempted to add it to the party platform back in 2012 was reported by C-SPAN with some coverage but not wall-to-wall 24/7 as they would have done if the Republican Convention would have been reported. There is even a You Tube video of the procedure which is rather amusing in a strange sort of way (see below). You cannot make these things up, honest. It would be difficult to tell but Hillary Clinton has told some tall tales, which if attempted to change position similarly by Trump has gotten nightly coverage. One prime example was when speaking to coal miners where Hillary told them she was ready to put them back to work despite her speech a few years ago about how she was going to put coal out of business when speaking to an eco-conference. I know, that’s just politics. Remember that the next time they ridicule Trump for making contradictory statements or do you believe that when Trump does it that just proves his dishonesty or simply his being mentally challenged. The media has taken a side in the American elections and they have also taken a side against Israel in their reporting except they couch it by granting the Palestinian side complete forgiveness in all things and never reveal their lies and other prevarications. Some examples of truths you have never heard? Read on. The actual lands which belong to Israel for the homeland of the Jews includes the Negev Desert, the Galilee, Judea, Samaria and all the rest of the lands between the Jordan Valley and the Mediterranean Sea including the Jordan Valley. That is a trick statement because it actually equals all the lands from the Jordan River to the Mediterranean Sea. This was decided at the San Remo Conference, further validated by a unanimous vote by the League of Nations, was stipulated in the British Mandate, and included in a number of treaties which included validation of the San Remo Conference within the documents after World War I, included specifically in the Treaty of Sèvres and finally was validated by Article 80 of the United Nations Charter. Simply put, International Law supports Israeli ownership of the land and they can do as they please with some basic reservations. They must provide all non-Jews with religious freedom, freedom of property, freedom of association and other basic freedoms with one very important exception; they do not need to grant anyone other than Jews with political rights. This means they do not have to give the Arabs the right to vote in Israeli elections or even local election if they so choose. This is a very important technicality as it completely erases the claim that the Arabs can take over Israel democratically by reproducing and simply out populating the Jews and vote them out of Israel one way or the other. Israel has the right to allow the Arabs in the PA areas total freedom in every way with the exception of the vote and other political rights according to international law, period. The principle wording of the San Remo Convention states, “British Government, and adopted by the other Allied Powers, in favour of the establishment in Palestine of a national home for the Jewish people, it being clearly understood that nothing shall be done which may prejudice the civil and religious rights of existing non-Jewish communities in Palestine, or the rights and political status enjoyed by Jews in any other country.” The political status for the Jews in other countries were not altered as instead over the ensuing two decades after the founding of Israel the vast majority of Arab nations which had Jewish communities ejected them after taking virtually all their precious possessions and their savings. Once they were evicted from the home nations, many of their families had resided in for centuries if not thousands of years, most made their way to Israel as if they had no relatives residing in Europe or the United States, they were denied entry and only Israel offered them a welcoming homeland. Israel could and should annex legally and officially the remainder of lands, reclaim Judea and Samaria (West Bank) and grant their Arab citizens resident alien status and even be beneficent and allow them voting rights within Area A and B where the PA currently has control and allow them to reside where they please; but if they leave the PA semiautonomous region, they would lose all voting rights. Their elections would be monitored and arranged by Israel and would welcome any and all foreign observers so as to assure these elections were not mismanaged. This would be legal under every manner of international law and the granting of semiautonomous region where the Arabs would have voting rights is a measure of magnanimity by Israel. We have presented this before but it bears repeating as often as necessary as currently there are some very dangerous ideas floating around even within the Israeli government and even from the high command of the IDF. We have covered some of these subjects over the last days. Perhaps this would be a good place to stop just in case any would like to scroll down or visit any of these articles; End the Charade and Keep Your Promises, It is Time to End the Arab Occupation, As Long as They All Hate. The urgency of the situation is drawn from the fear and soon to be fact, within a generation or two at the most, the world of nations will spit out their Jews and then attempt to eradicate Israel from the maps and history. If one really wishes to get into the minutia and every particular of the latest lunacy, one can read the entire PDF document Security First which gives the entirety of a plan for a new partial surrender of land for peace. Then going further with a series of sources there is the entire media blitz from a group calling themselves “Commanders for Israel’s Security”. No matter how they tell their story or whatever blitz and glitz they add to polish it and make it sparkle and dazzle, their plan is another retreat without requiring the Arab side to make any concessions or even to recognize Israel’s right to exist as the homeland for the Jewish people. There is this impatience which infects groups time after time as they break down under the threats and demands from Europeans and other international sources, in this case including Saudi Arabia represented as a neutral source in this discussion, to make something happen where the world can see that there is some action in the movement towards peace. The problem is that every time these pressures force an action, it is always some group of Israelis who insist that if only Israel shows her good faith then the Arabs will reciprocate. There is only one small flaw in their reasoning, the Arab side has never ever reciprocated and instead has promised that with the assistance of world pressure they will step by step destruct Israel until it is shrunk to the point they can destroy it in a single attack. There were the demands from the United Nations, the Europeans and America as well as Mothers of the IDF who said we needed to pull back from the security zone in southern Lebanon and trust United Nations peacekeepers and the promises of the Lebanese government. Israel bent largely due to the vigils and media pressure from Mothers of the IDF more than the world pressure and Prime Minister Ehud Barak with assurances from the Generals of the day, today’s retired generals, retreated back south of the Blue Line, the United Nations and internationally recognized border between Israel and Lebanon. United Nations inspectors came and blessed the retreat as being all proper and recognized as being complete. The area which was vacated by Israel did not become a place where the Lebanese army and United Nations peacekeepers took control and guaranteed Israeli border security. Instead Hezballah took complete control of the areas south of the Litany River to the Israeli border. 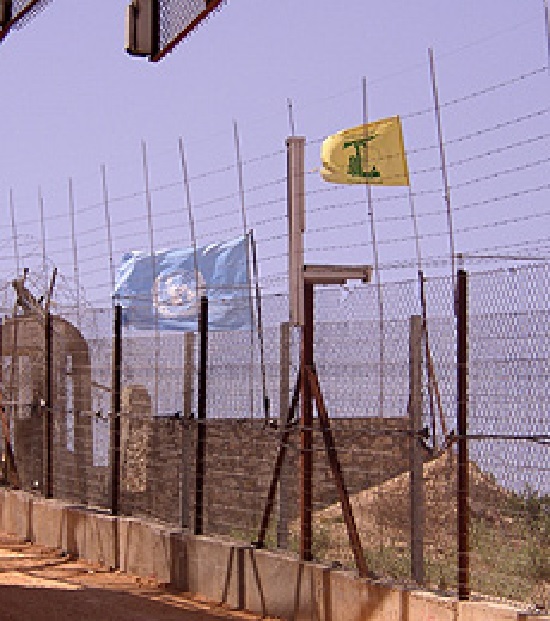 The United Nations peacekeepers remained in their posts and never patrolled or made any move without first checking with the Hezballah forces. The claim was they could not find any Hezballah forces. 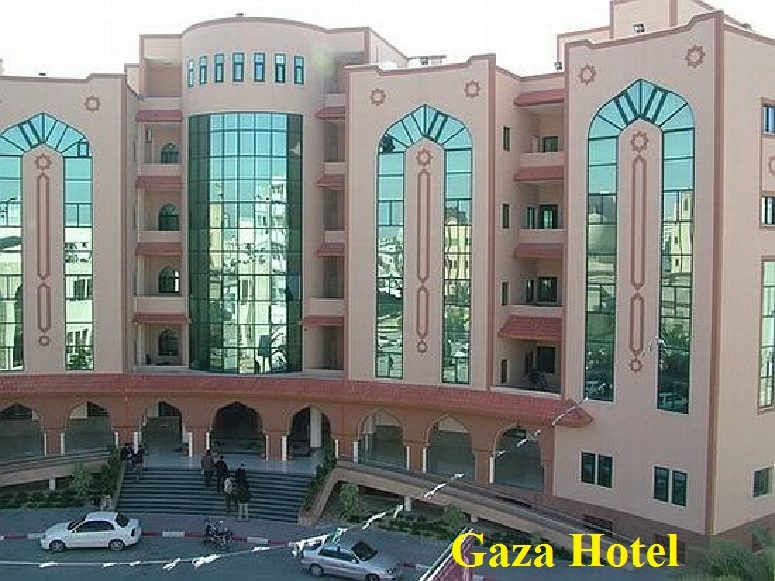 Perhaps they should have checked the other side of the building the two shared on the Israeli border (see below). Then the inevitable happened and the cost was worse than any low level violence in the safety buffer zone which Israel had surrendered to Hezballah in their voluntary retreat to the Blue Line to satisfy world and Israeli defeatist pressures. The inevitable started on July 12, 2006 as Hezballah fired diversionary rockets into Israel targeting a small community across the border which masked their ambush of an Israeli patrol. Israel forces had fallen into the worst possible of situations where they performed their patrols on a schedule almost like clockwork. This allowed for Hezballah to time their rocket attack to coincide with a cross border raid. Hezballah initiated the raid by firing anti-tank missiles at a Humvee patrol resulting in three soldiers dead and two Israeli soldiers were abducted. Hezbollah demanded the release of Lebanese prisoners held by Israel in exchange for the release of the abducted soldiers to which Israel refused and responded with airstrikes and artillery fire on targets in Lebanon. Hezballah responded with rocket fire into northern Israel launching from bunkers and residential homes. Israeli return fire struck both the Hezballah bunkers and the homes and other public buildings used by Hezballah. Hezballah had learned from Hamas and the Arab Palestinians to fire from civilian structures and then place the resulting damage when Israel returned fire on rocket launch positions hitting civilian structures from which the rockets had been fired. Israel eventually made an ill planned hasty assault into Lebanon with infantry and tanks and paid a heavy price for their lack of preplanning and preparations. Israeli losses included five tanks destroyed, numerous helicopters destroyed, one naval ship heavily damaged, one-hundred-twenty-one IDF soldiers killed and one-thousand-forty-four injured as well as forty-four civilian deaths and one-thousand-eighty-four civilians injured. Casualties on the Lebanese and Hezballah side included an estimated five-hundred Hezballah fighters killed and Amnesty International numbers of civilian casualties showed approximately one-thousand dead and estimated four-thousand-five-hundred injured. As with every war between Israel and a terror enemy, they set their launching sites and combat strong points located in the presence of civilians and civilian structures in order to maximize civilian damages and casualties and then petition the world media to condemn the horrific civilian toll resulting from the Israeli efforts taking absolutely no blame on themselves and gaining media sympathy worldwide. The situation today is potentially even worse as, thanks to Iran providing rockets and missiles via Damascus, Hezballah now has an estimated one-hundred-thousand to one-quarter of a million rockets and missiles pointed at Israel with at least one third having sufficient range to reach anywhere in Israel. Hezballah leader Nasrallah has sworn in repeated broadcasts that in the next war with Israel he promises to destroy Tel Aviv and kill untold thousands of Israelis leaving the entire nations in ruins. The deafening silence from the world over his repeated threats to launch complete and utter destruction on Israel is not that astounding as condemnations must at worst be leveled against Israel in equal or greater proportion to those leveled at her enemies. The next war, may such never come to pass, may result in heavy damage in Israel but the damage which will necessarily be leveled on Lebanon just in efforts to destroy as many missile and rocket launchers to prevent a devastating number of Israeli casualties will be utterly horrific. Neither side will win the next conflict while any success will be in avoidance of destructions and minimizing casualties. Israelis will once again need to stock their shelters at the first sign of increased agitations and threatened hostilities as they may be spending an extended amount of time sitting in these very shelters. There are numerous reasons that Israel requires shelters for every tenant in any new structures with each unit having a hardened room for protection. May these reinforced rooms never need to be used. Then there was a second lesson where in August of 2005 Israel removed thousands of Israelis from Gaza and removed all IDF forces turning everything over to Mahmoud Abbas and the Palestinian Authority. Within two years in 2007 the Palestinian Authority lost Gaza to Hamas offering minimal resistance during a week of hostilities. 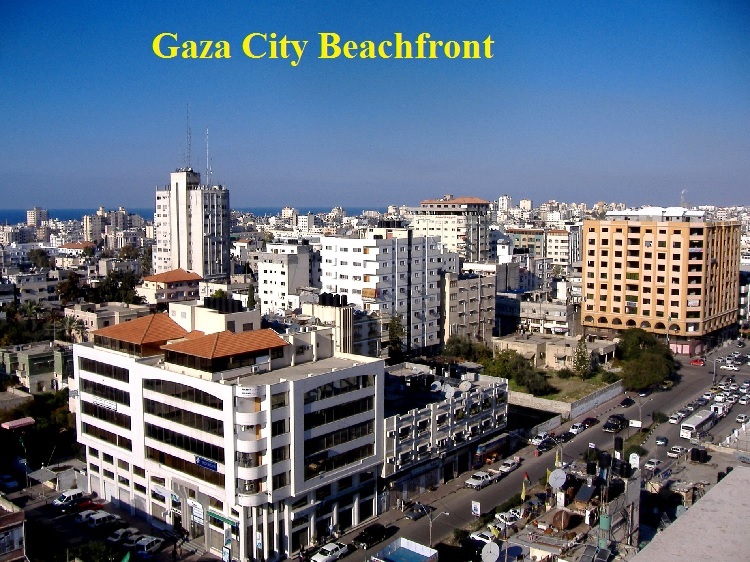 Since then Hamas has forced a war every two to three years with ever increasing rockets being fired from civilian areas rather than using the farm lands which surround the crowded city areas. This is done to increase the damage caused to the residents of Gaza. What is the saddest is that Hamas leaders never fire the rockets from the wealthier areas of Gaza and always from near apartment buildings. 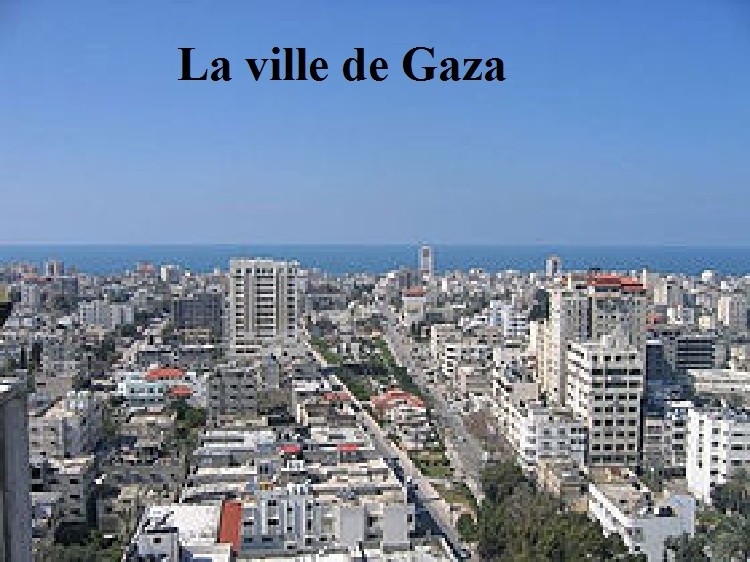 For the record, most Hamas members live in these wealthier areas of Gaza (see examples below). 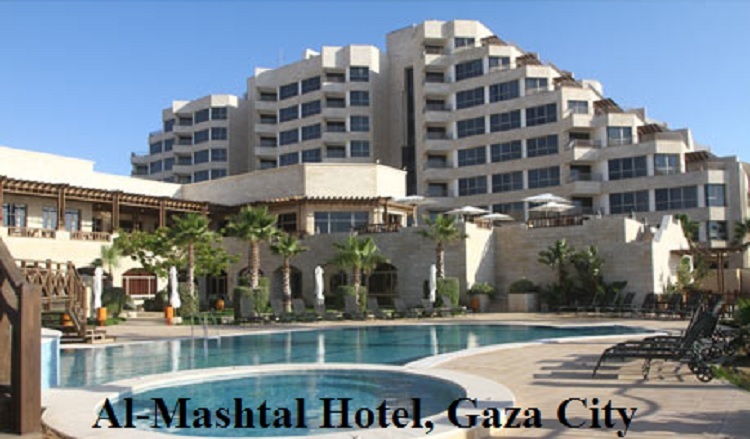 The resort hotels, main business districts, wealthiest neighborhoods, luxury mall, best restaurants and homes of the rich and famous are saved from being used as rocket launching sites. 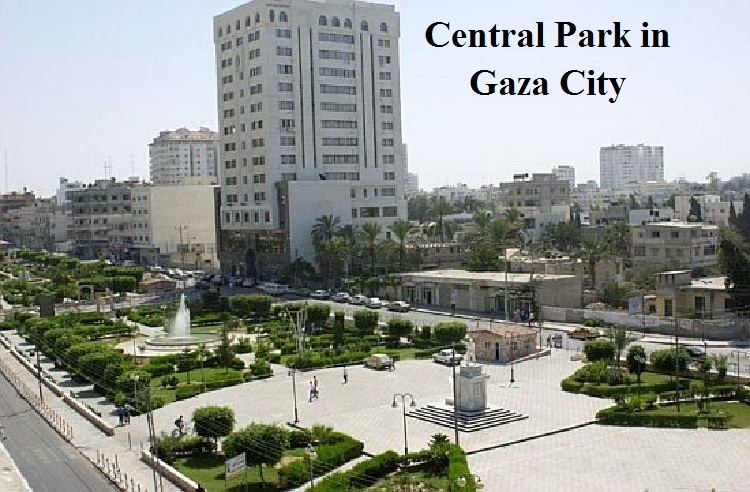 The destroyed areas you see all the time are from a somewhat limited area of Gaza City in the poorest neighborhoods mostly bordering as well as inside the Gaza City refugee camp which is run by UNRWA and whose residents are seldom permitted beyond the camp boundaries. Think back to the riots in Los Angeles, Ferguson, and Baltimore and there were great amounts of damage and devastation almost all within the central black and poorer neighborhoods but where the politicians live and the wealthy and the main business sections of town were untouched. The same is true in all of the Gaza Strip, the poorest suffer and the wealthy continue to enjoy life. Now the next brilliant idea is to surrender everything east of the security fence/wall/barrier removing any Israelis residing in these areas such as settlements like Itamar, Hevron, and a total of approximately forty-percent of settlements even including some areas which would be quite surprising as the security barrier runs far closer to the Green Line than the shrill arguments would lead one to believe. The retired Generals and other Security Chiefs with so much experience by their own admissions, have shown that this time it would be different as we could take our time and deconstruct the areas we would eventually be surrendering and the IDF would remain in the entirety of the areas in which they currently are operating until such time as an adequate security arrangement and force could be implemented. So, Israelis would leisurely be removed because immediately after Israel adopts this suicide pact there would be screaming from all corners of the globe, well, Europe and Turtle Bay (United Nations) along with the United States State Department and President Obama for the Jews to be out of those now admitted illegal outposts. So we would see Gaza redux as far as our withdrawal but the IDF would remain just like they remained in the Security Zone in southern Lebanon. What exactly do these men of great and brilliant minds see happening when, like Lebanon, we start losing three or four soldiers a week to snipers and that occasional squad of ten to twelve in a single ambush. We would have the Mothers of the IDF and headlines every time a single soldier got a hangnail telling of the anguish and pain. Peace Now, B’Tselem, and Breaking the Silence would have a bevy of soldiers interviewed all terrified of the horrific conditions and rules of engagement (there might be support against the Rules of Engagement ROE from us claiming it was too restrictive) which would be shown three times each newscasts and lead every hour on IDF Radio. How long would it be before the world pressures us that the Palestinian Authority Security Force was ready, willing and able to assume control from the IDF leading to another Hamas coup just like in Gaza or worse, Islamic State moving in on the Palestinian Authority forces? I would generously give it three to four months, with a six week deadline, for the start of the pull-out-now demonstrations to begin abroad and at home. So, we would have a mixture of the failed policies of Lebanon and Gaza mixed in a dangerous concoction called land for peace. Imagine the potential disasters of almost pulling out of Judea and Samaria without a single concessionary peep out of Mahmoud Abbas and likely his greatest encouragement and praise for such a great day it was for peace. That alone should scare the life out of everyone. This plan actually has received the Saudi seal of approval as being sufficiently close to their Saudi Plan, the Arab Plan, which was labelled as suicidal not all that long ago. But then we have always realized that our fortitude was left wanting and we were always overly optimistic about reaching an honorable peace. Somehow a unilateral surrender of large swaths of lands to our sworn terrorist enemies cannot be allowed to become our definition of taking the first move for peace. Thus far we have taken approaching a dozen first moves for peace without ever receiving anything other than a demand for more and faster with the current retreat. This plan, wrapped in such a long winded and gorgeous package, with pretty and dazzling colors and backers from the most respected of all left-wing, post-Zionist lunatics Israel has been capable of gathering, when stripped bare, it is the surrender of Judea and Samaria in Toto to the Arab Palestinian Authority for the brief moment until something worse comes along, just like Gaza. What government institution dropped the ball and gave these former generals and security chiefs the right to attempt an end around on the elected government. This entire idea is reminiscent of the Oslo Accords which were hammered out under the cloak of darkness and secrecy from even the members of the Knesset and anybody who might have raised the alarm against the Oslo Accords. Instead of a reasoned debate the fateful signing of the Oslo Accords was a done deal before any deliberations could have been entertained. This “Security First” publication and proposal has all the earmarks of a secret treaty carried out behind the backs of the elected coalition members and is being given its inaugural rollout with the appearance of a done deal where the signatures are as if on a binding treaty and one has to wonder is there a signature from the other side hidden to be revealed in a week or two as the government is blindsided by an international agreement to which this self-appointed shadow government has already promised full Israeli support and readiness to comply with the withdrawal post-haste. The governing coalition must present this “Security First” document into the Knesset for a very public and full blown consideration before being summarily discarded as the piece of trash it really is. There is no ignominy which the authors of this plan could be subjected to that would be beyond their deserved treatment. Further, if the government cannot tear up this faux-treaty, then the coalition need be dismissed and the core uniting plank in the next coalition must be formed around the complete and unabashed rejection of every morsel of this poisonous concoction. These retired generals, commanders and security chiefs have attempted to shackle Israel with making her near impossible to live with the high ground just east of Ben Gurion International Airport and a full seventy percent plus of Israeli public, production, power generation, industrial heartlands and other forms of economic and social centers as well as the beating heart of Israel, Jerusalem, all under fire from Arab rockets and other projectiles including mortar, artillery and sniper fire, as from some of the surrendered high ground one can view the Mediterranean and everything between the heights and the beaches in question. The claims that the world will look at Israel differently, that the world will support us retaking the area when everything fails, that the world has our backs are all lies. The world will look at us differently as they will know Israel cannot exist in such a state as every international carrier will cancel all contracts with Ben Gurion International Airport which will have fallen silent except for the El Al counter and concourse. The world would far sooner every Israeli be driven into the sea than allow us to take the high ground from our murderous tormentors and only have our backs in order to sink their knives up to their hilts applying the final coup de grace such that they can take credit for finishing the Final Solution and make the world safe from the violence of jihad as the only reason for jihad, Israel, has been eliminated. That is an utterly false concept but it is no different than the “Security First” concept for Israeli final surrender before the world, the very world which will care for our plight and provide the necessary support when our needs become dire. When Mahmoud Abbas gets wind of this proposal, he will publically refute it as not being sufficient as it does not address the right of return or the complete withdrawal from all of Palestine which must be free from the Jordan River to the Mediterranean Sea. What will be the final result should this deal become fact? First is all commerce within Israel will cease for all intents and purposes; Israel’s busiest airport will fall silent; Israel will become a ghost town as those who had not previously fled would now go underground and pray to be rescued before it would become too late. Finally, the words and arguments will have resulted in stripping Israel back to the borders she had up to the Six Day War. With Israel stripped bare of the added depth which has become so vital against rockets where line of sight allows for easier corrections and more ease in choosing said targets. Even the Dimona complex will now be vulnerable as will the trains should they venture into open ground as they must to be useful. Jerusalem will be the first to feel the pinch as she will have become cut off from the body of Israel and will likely face strangulation as the Arabs will be overlooking both rail and road access to Israel’s historic and spiritual heart. After Jerusalem falls and her Jews are taken hostage, what will be left for Israel to do to resist the next assault? The Prime Minister, President and the majority of the Knesset will have fallen with only the crafters of the horror unfolding will be permitted escape back to the body of Israel. Here these weasels we call generals and intelligence chiefs will be the ones the people will now turn. Irony of ironies that those who made the entire scenario possible will be the ones asked to lead in our darkest hour. Israel has chosen to follow leaders whose errors almost destroyed her people but these leaders will get every Jew murdered through their perfidy and once Israel is to fall this time, it will be her last fall. It is that this cannot be allowed to happen which gives us the hope that sufficient Israelis are awake and know that land for peace is simply playing Russian roulette and we have already played that game too long. Time to leave the party and try a new land for peace, the one where we keep the land and that brings us eventual peace. Oh, and the Arab terror leadership, their schools and everything used to try and destroy us is part of cleansing Israel from the poisoners surrounding her. First, let us clean our house of vipers and snakes lying in the tall grasses who have tried repeatedly to claim surrender is victory and weakness is strength all while claiming with peace the land is not necessary. Instead we need but follow the commandments in Torah and settle all the Promised Lands and peace, strength and vigor will return and other greater miracles will ensue. First we do our assigned part and then the rest simply becomes the unavoidable future which prophesy told us in Psalm and Proverb. The answers have been right there for all to find and follow and the time to choose is rapidly to be upon us. These generals and security officials are the false prophets as we have seen the fruit of their counsel and troubles and misery has been the result. It is time to choose new counsel and to follow new paths to a fruitful future. It is time to follow a book which had proven the one true path to freedom, justice and most precious peace.